The VHP members damaged the turnstile gate installed by ASI near Basai Ghat as it was blocking their way to an ancient Hindu temple which is located on the same premises. A video of several members of the Vishwa Hindu Parishad (VHP) vandalising the west gate of the Taj Mahal in Uttar Pradesh has gone viral on social media and has even stoked a controversy. In the video, the workers of the Hindu organisation were seen damaging the turnstile gate installed by the Archeological Survey of India (ASI) near Basai Ghat, as it was blocking their way to an ancient Hindu temple which is located on the same premises. "On Sunday around 25-30 activists from the VHP came near the western gate of the Taj Mahal and started vandalizing the newly installed turnstile gate for ticket collection for Taj Mahal and Saheli ka Burj. The protesters had hammers and iron rods with them. They removed the gate and threw it some around 50 metres from there. 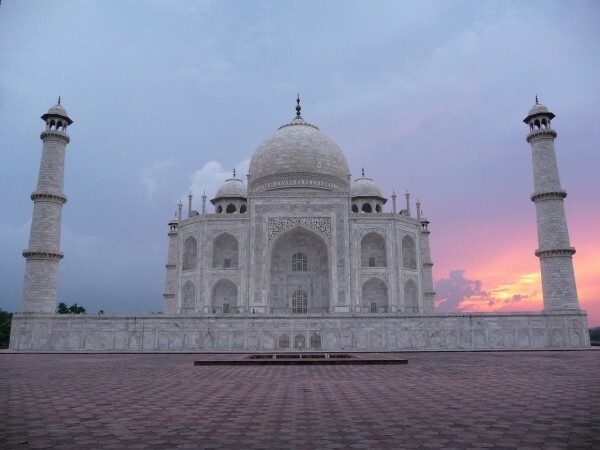 Soon the Taj safety police team reached there and stopped them from vandalising more property," The Indian Express quoted Taj Safety circle officer (CO) Prabhat Kumar as saying. The VHP members have stated several other reasons behind their act of uprooting the gate. The right-wing activists were behaving in a manner quite opposite to a civilised citizen as the ASI had built a gate for ticket collection on the western entrance to the Taj Mahal, which according to the workers was blocking their way to a 400-year-old Shiva temple. The VHP Brij Prant Vishesh Sampark Pramukh, Ravi Dubey, said they took this step as the ASI is eliminating all things related to the Hindu culture in and around the iconic Mughal monument, which is also UNESCO World Heritage site, reported IE. "Till around 15 years ago, there used to be satsang at the Saheli ka Burj on the western gate but it was stopped. Dussehra fair was also stopped near Taj Mahal," Dubey stated. He also claimed that earlier people used to celebrate Amla Nawami inside the Taj Mahal premises near an Amla tree. But that tree was also chopped down by the ASI. "There were so many other things people used to do here, but it all ended around 14-15 years ago during the Samajwadi Party and Bahujan Samaj Party rule. We cannot let this happen," Dubey added. The Hindu activists are also not satisfied with the path allotted to them to reach the temple as it is narrow and people can't walk on it. Naturally, the vandalisation did not go down well with the ASI and it has filed an FIR against five members of the VHP and the 20-25 of their unidentified associates. The VHP members have been accused of rioting, assault or criminal force to deter public servant from discharge of his duty, violating section 7 of Criminal Law Amendment Act and the Prevention of Damage to Public Property Act.